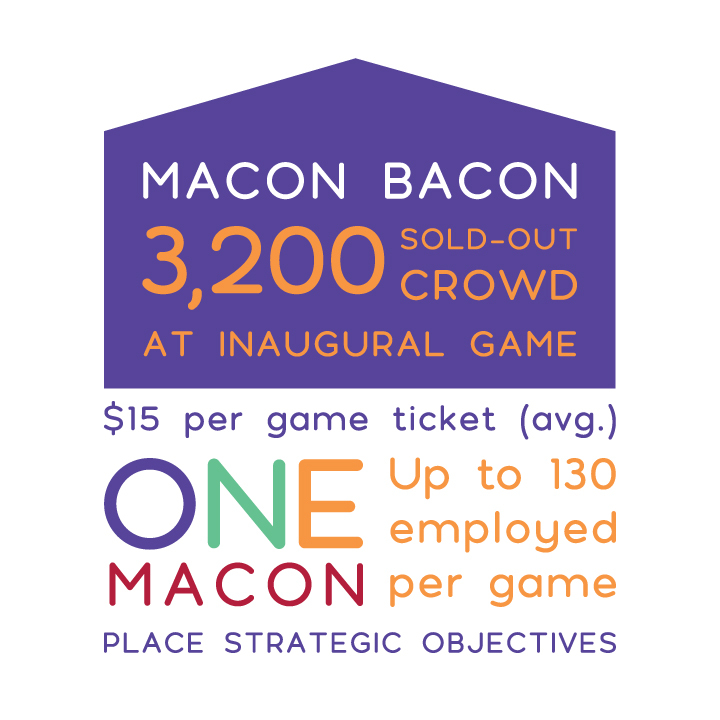 Macon Brings Home the Bacon to Historic Baseball Stadium - OneMacon! The recently renovated Luther Williams Field hosted a sold-out crowd of more than 3,200 people at Macon Bacon’s inaugural opening day game on June 1. Baseball has been a part of Macon’s fabric for nearly 100 years. Some of the country’s most celebrated ball players ran bases at Luther Williams, including Pete Rose, Tony Perez, Chipper Jones and Vince Coleman. The stadium, famous for its historic architecture, has been featured in several movies and has hosted teams such as The Macon Peaches, The Macon Redbirds, The Macon Dodgers and the Macon Braves, which left Macon-Bibb County in 2002. In early 2017, Macon-Bibb County Mayor Robert Reichert announced plans to bring baseball back to Macon after the owners of the Savannah Bananas expressed interest in building a summer collegiate team here. Like the Savannah Bananas, Macon Bacon is a member of the Coastal Plain League – one of the top summer leagues in the country. More than 1,500 people suggested names for the new team, with Macon Bacon beating out Macon Heat, Macon Hits and Macon Noise. But it takes more than just a catchy name to play ball. Thanks to a $2.5 million SPLOST tax, Luther Williams Field got some major renovations, including a new ticket stand, group areas and sound systems along with additional concessions stands, refurbished restrooms and more.